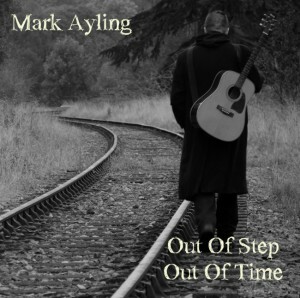 My new 12 track album will be available on 28th October. It’s been a long time coming and, though the songs were written ages ago (around the time of my first album), it has taken so long to get them recorded and to get the album artwork sorted out. Life and gigs, not too mention the fact that I constantly wondered whether the album was recorded well enough, were all factors. Anyway, it’s finally here and I’m very pleased with the way it sounds and looks! Do I Miss Being In A Band…..? I got asked recently if I miss being in a band. Do I miss the camaraderie? Do I miss bouncing ideas off other people? As a drummer, I have played with a lot of bands over the years, from bands at school right up until the end of 2011. Some lasted a while and gigged, others didn’t get past the first rehearsal. I’ve not actually done that many gigs with bands, but it wasn’t because I didn’t want to or through lack of trying. Things just didn’t work out that way. Members would leave, I would leave, some bands seem content to just rehearse songs to death. Some people ‘talk’ a good band but, when it comes to putting any work in, they are strangely quiet. The last band I was in was a two-piece. It really shouldn’t be hard for a two-piece band to fire on all cylinders, should it? All bands, whether 1 or 30 piece, need to have all members pulling in the same direction, towards the same goal. There is no room for deadwood. We were another band that talked a good story. Together for 3 years, we managed a pitiful 5 gigs. All were booked by me in the first year or so. All web presence by me etc etc. Not that I minded to start with as I was enjoying playing in the band. Then I started getting bored with it all, had started writing my own songs, and was getting more and more concerned about the lyrical content coming from the other guy which was becoming a repetitive theme of misogynistic murder. In the end, I stopped doing anything related to the band just to see how long it would take the other member to actually DO SOMETHING. ANYTHING!!! I didn’t even get a text to ask “are we rehearsing this week?” By that time I was in it for myself, just to keep up with drum practice. He did nothing. Just moaned a bit about not doing anything, and came up with some ‘revolutionary’ ideas on how to take the world by storm. The last straw was when he announced that we needed to re-record our album as he wasn’t happy with it. That’s ok, but this is 5 months after I handed him the mixed tracks. Seems like he couldn’t even be bothered to listen to his own songs. So I decided to leave and start doing my own thing, which I was enjoying more and more. I never intended to release an album or play a gig. It just happened that way. My first album was just a demo, for my own benefit. After playing it to a few people, not to mention a few thousand listens of my own, I decided it might be good enough to release. So I did. I sent a copy to a friend down in London. I’d played with his band, Proud City Fathers, back in the early nineties, it didn’t work out and we lost contact until a couple of years back. Out of the blue, he announced that he had booked a gig and would I like to play? I had been thinking that I should maybe give it a go at least once since releasing the album early in 2011, and if I didn’t play a gig by the end of the same year, I never would. So I said yes. No, I don’t miss being in a band at all. I do miss playing drums sometimes. It must be handy having 5 members sharing the costs for travel/promotion/CDs etc but then again earnings would have to be shared out too. Having to put up with the guitarist’s moods or the singer’s ego or the bass player’s drink problem or the tambourine player’s smelly feet? I have given my website a long overdue redesign and now with added ‘Song Trivia’ section where I give an insight into some of my lyrics. 8PM FREE ENTRY Great vege/vegan bar menu! -Playing support to 999 at Drummonds which was good fun. -Playing off the beaten track in Peterhead, Fraserburgh and Hebden Bridge which opened my eyes to the fact that playing ‘cool’ city venues often doesn’t mean they are the best for gigs or crowds. -Playing at Milo in Leeds was when I finally got back on the proverbial ‘orse after having throat problems for the best part of 4 months which shattered my confidence and made me more nervous than I should have been. -Getting a slot alongside Paul Carter and Joe Solo as part of the Hebden Bridge Punx Picnic was amazing (as was watching The Mob the night before at the Trades Club) and I have really fond memories of the few days spent in Yorkshire with friends, old and new. -Being asked to play at the Aberdeen Trades Council Social Club back in April for the Hope Not Hate gig. The club closed down not long after and will be sadly missed. -I have good memories of playing at The Bay in Glasgow, another free venue with a good atmosphere that has also sadly closed down. Maybe I’m the kiss of death? -Putting my first gig on in Aberdeen at Cellar 35 with Billy Liar and Brian Curran. Great guys, great musicians, expect to see similar gigs in the new year. -Last but not least, getting to tour Europe with Brian Curran. My first gigs in Europe as an acoustic singer/songwriter were fantastic, playing Belgium, Holland and Germany. I enjoyed every minute of it and can’t wait to get back. Anyway, new year is about looking forward and not dwelling on the past so in the next few months I’ll be playing my first Edinburgh gig (with Brian Curran & Breagha Cuinn), playing alongside Billy Liar in Aberdeen, heading off the beaten track to Banff where I’m chuffed to have been asked to play at the first concert held by the Kelpie Cafe at Banff Castle. For the first week of March I am currently booking a short UK tour with Leeds, Manchester, Bradford and Stoke currently confirmed. London and Chichester will hopefully be confirmed soon and I’m still looking at a few other places to play. Beyond that? Hopefully Brian & I will be heading off to Europe before the summer and I really must get my second album finished. It’s been written for years, the guitar parts are all recorded, I just need to get off my **** and get it finished!!!! Thanks for all your support, and special thanks goes to Morag for making most of this possible. 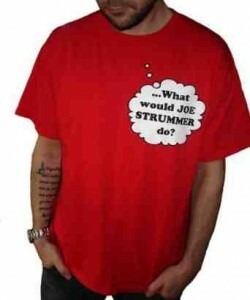 I got an email earlier about Strummercamp, with the title “What would Joe do? Reading further, I discovered that there are more and more people wearing T shirts printed with the same question….. I remember reading a story about Joe Strummer being approached by some school kids backstage at a Clash gig (in the bogs, I think) and they asked him how they could ‘be more punk’. They were all wearing punk badges and ripped shirts etc and Joe basically told them that he’s not going to tell them how to live if they can’t work it out for themselves, they had no place trying to be more punk (or words to that effect). I’m sure of this though; Joe Strummer would NOT be fan of all the Clash tribute bands around at the moment and, though possibly flattered, I’m sure he’d much rather listen to something new than a rehash of the same old nostalgia trip (his band or otherwise). And if he were to go to a gig, I’m also sure he’d listen to the lyrics coming from the stage and NOT be sat with his back to the band, talking loudly through their set whilst drinking as much beer as is humanly possible. 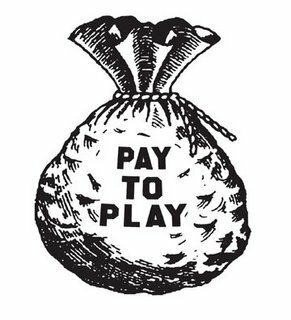 There’s been a lot of talk in Glasgow recently regarding bands being made to ‘Pay To Play’ gigs. A couple of the promoters that were targeted were NOT actually making bands pay them money to get a gig. If you don’t sell all your tickets, you don’t have to pay money to the promoter. If it was Pay To Play, the musician would have to buy the tickets from the promoter and hope to sell them all to recoup their costs. Anyway, with all this in mind, it really irritates me that there are so many Pay To Play ‘opportunities’ online that everyone seems happy to pay for. I signed up with them for a free trial period, just to see what it’s all about. Basically, you upload your details/music/videos etc and they give you a nice Electronic Press Kit (which you simply MUST have, apparently). After the month free trial, you have to pay them between $4.99 and $6.99 a month, depending on whether you pay it all upfront or not. This is for a service, so it depends how much each musician feels they need an online EPK. Then, the musician can use their EPK to get gigs with promoters that have signed up with Sonic Bids. Each available gig opportunity costs from $0 to $20 to apply for. The $0 will still cost one ‘token’, of which you get a limited number but can buy more. The gig application is just that, there is no guarantee you will get the gig. So, it’s not even Pay To Play, it’s Pay To Be Considered To Play! The promoter is supposed to give each musician feedback as to why they didn’t get the gig but, from what I’ve read, they don’t even bother doing that. Potentially, it’s a nice little earner for little work and open to abuse. Reverbnation also have an EPK available costing $5.95 a month or $59.95 a year. Again, this is for a service so each individual has to decide whether they need one or not. I don’t need one, and don’t care if they charge $1000 a week for it if bands want to pay it. BUT, I am signed to Reverbnation (for the Facebook player thingy) and every week I get an opportunity in my email inbox. This can be anything from a gig to radio airplay. FREE TO ENTER (with a Reverbnation Electronic Press Kit) So, not really a free opportunity. I viewed one of these web links this morning and it said “Free with Reverbnation EPK OR $10 entrance fee to cover administration”. Again, all for a band/musician just to be considered. No refunds if you’re unsuccessful. Why on earth are musicians the world over signing up and, more importantly, paying for these kind of deals? Who can afford it? Not me, that’s for sure!! Recently, as everyone knows, some posh-daughter-of-a-millionaire got 2 years in prison for driving some hoods round during the London riots so they could loot shops. Also, as everyone knows, a couple of chavs got 4 years each for trying to incite a riot in a field or village somewhere via Facebook.